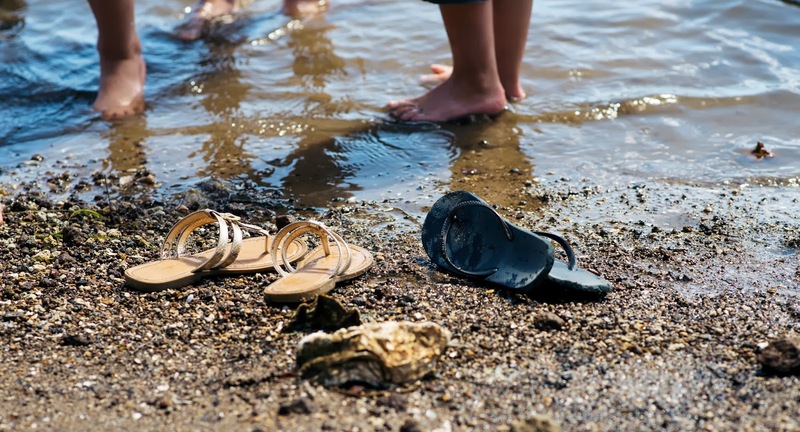 Sometimes you just need to kick your shoes off and put your feet in the water. To feel the sand between your toes. To feel the cold water splashing up your leg. My kids and I paddled today. Simple moments like these are the happiest. To be fully living in the moment, engaging with the ones most dear to you. To see the joy in their little eyes, to hear their innocent laughter. My soul is well pleased. Moments like these cause me to connect with my creator, my God. I thank Him for all that he has given to me, my children, the sea and sand... He speaks to my soul. I feel blessed and grateful.